Create many different types of barcodes. Is there a better alternative to BarcodeEncoder? Is BarcodeEncoder really the best app in Inventory category? Will BarcodeEncoder work good on macOS 10.13.4? Save (export) your created barcodes in PNG, EPS and SVG file formats. 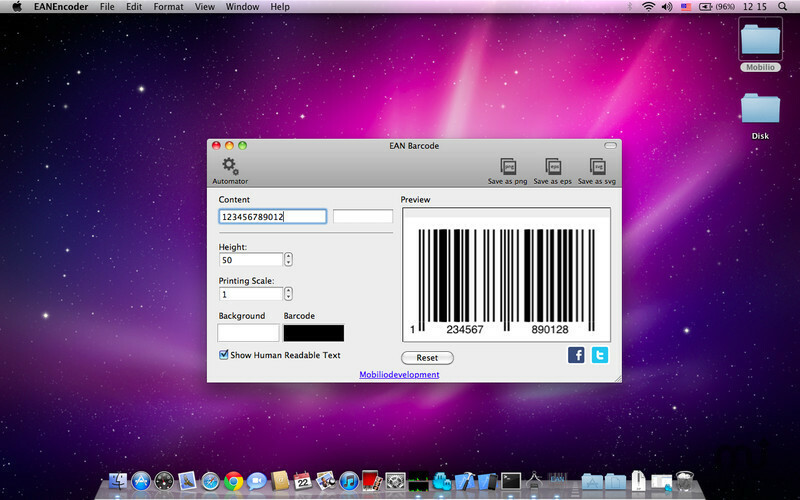 Barch bulk barcode generation - Generate multiple barcodes at once. This BarcodeEncoder barcode generator will make your barcode creation process faster and easier to manage. BarcodeEncoder needs a review. Be the first to review this app and get the discussion started! BarcodeEncoder needs a rating. Be the first to rate this app and get the discussion started! Check out our other great barcode generation apps available on the AppStore!